Mindfulness meditation has become popular in the west as an essentially therapeutic technique that promises to reduce stress and increase happiness. But the Buddhist philosophy that was the ancient context of mindfulness meditation makes bolder promises: It sees meditation as an important part of a larger program that strips away delusions about the world and can even bring “enlightenment”. This claim – that mindfulness meditation brings a truer vision of the world – suggests that any happiness it fosters might be a “valid” happiness in the sense of being based on accurate perceptions of the world. Modern psychology – particularly evolutionary psychology – offers some support for that view. 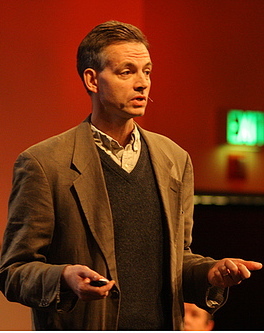 ROBERT WRIGHT is the author, most recently, of The Evolution of God, which was a New York Times bestseller and a finalist for the Pulitzer Prize. His other books include The Moral Animal, which The New York Times Book Review named one of the ten best books of 1994, and Nonzero, which Bill Clinton called “astonishing” and instructed White House staff members to read. In 2009 Wright was named by Foreign Policy magazine as one of the top 100 global thinkers. Wright has written for The Atlantic, The New Yorker, The New York Times Magazine, Foreign Policy, and the op-ed pages of The New York Times, The Washington Post, and The Financial Times. His books have been translated into more than a dozen languages, and his awards include the National Magazine Award for Essay and Criticism. Wright has taught in the religion department at Princeton and the psychology department at Penn.